Despite the findings on global climate change presented by the scientific community, there remains a significant gap between its recommendations and the actions of the public and policy makers. So far scientists and the media have failed to successfully communicate the urgency of the climate change situation in such a way that long-term, comprehensive, and legally binding policy commitments are being made on the national and international level. This book examines the way the public processes information, how they perceive threats and other perceptual factors that have a significant effect on how and to what degree climate change mitigation and adaptation strategies are supported. Understanding public risk perception plays a vital role in communicating the challenges of global climate change. 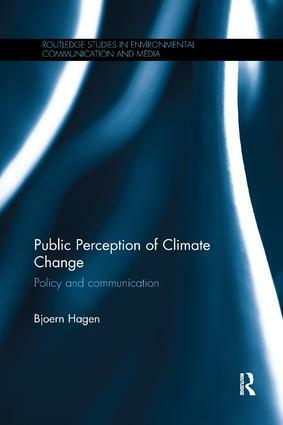 Using a diverse range of international case studies, this book explores the nature of public perceptions of climate change and identifies the perception factors which have a significant impact on the public’s willingness to support global climate change policies or commit to behavioral changes to reduce greenhouse gas emissions and improve urban resiliency. The comparative study of social and cultural factors, beliefs, attitudes and trust provides an international overview of best practices regarding the design, implementation and generation of public support for climate change policies at a global level. Offering valuable insight into climate change and risk communication, the book should be of interest to students and scholars of environment studies, politics, urban planning, and media and cultural studies.